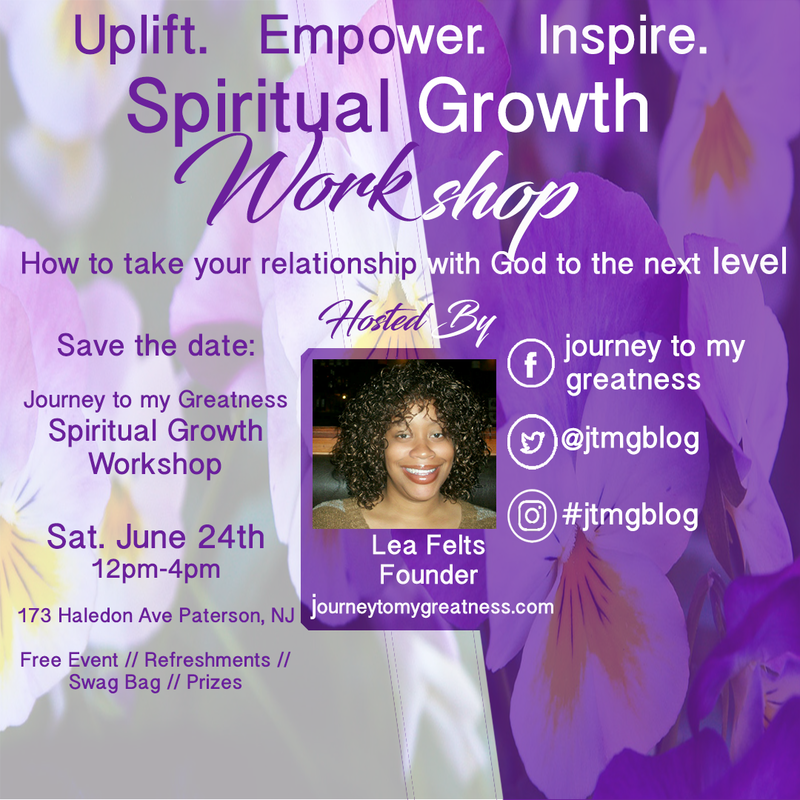 I have some exciting news…I have been asked to facilitate my first Spiritual Growth Workshop! I am so excited and so scared, but you know what I ask God to use me and using me He is. Please come out and show me some support. Info below. Hope to see you there.